Every year, dozens of families come out for the Branford Land Trust’s popular Animal Tracking classes led enthusiastically by naturalists Tom Cleveland and Chris Woerner. 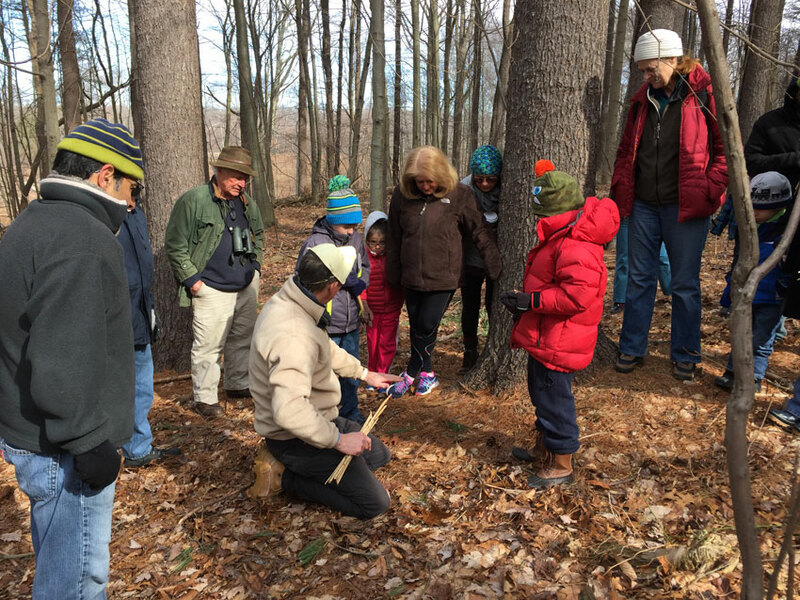 Come learn how to recognize animal footprints and other signs of their passage through the woods during the upcoming Animal Tracking Classes from 9:30 to 11am on Saturday, February 24 at the Lake Saltonstall Preserve. We’ll hope for snow, but it will be fun even without it! Bad Weather dates: February 25. Watch our Facebook page for possible schedule changes. For questions please call Tom Cleveland @ 203-981-9040.